We are in the process of filling out form I-751. We have no children, so on page 3 of the form when it asks for the information for each child, should we enter N/A on every single field that we will not use? Then should we check the no box where it asks if the child is living with you? In my other petition forms , I put N/A on the first box and left other blanks for that category. Like N/A on only the first rows of Child 1, Child 2 , Addresses like that. I just felt silly to put N/A on each subsequent boxes. 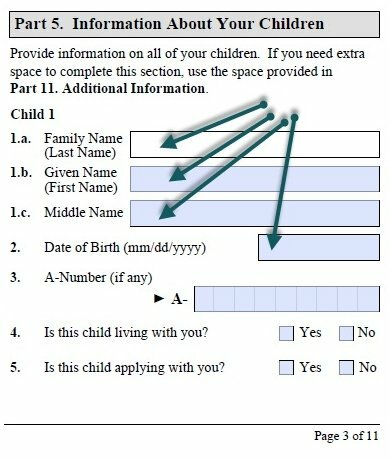 Personally, I put "N/A" in the first field of each child, and I left the other boxes blank...........Planning to mail my wife's I-751 in 10 days. did you leave the yes or no boxes both unchecked? I'll probably just enter N/A for each blank field but MUST we really check the NO boxes as well? Both unchecked. I didn’t touch any sub-fields at all after putting N/A on the first field. My theory is that the N/A on the first field takes care of all subsequent fields. it’s like first saying I don’t have any child and then saying “The child who doesn’t exist at all doesn’t live/immigrate with me” , how funny. I'm leaving them unchecked, too.